At long last, the innovative folks at Samsung Electronics (NASDAQOTH:SSNLF) have given tech geeks around the world their first peek at the company's first foldable OLED smartphone. Featuring Samsung's new Infinity Flex Display, the futuristic device is capable of opening from a regular smartphone into a tablet-sized handheld without a seam in the center of the inside display. Of course, this isn't the first time Samsung has teased its foldable OLED vision, so you'd be forgiven if you were skeptical. In fact, it was nearly five years ago that I first wrote about Samsung secretly showcasing a prototype of its foldable OLED smartphone for VIPs at the 2014 annual Consumer Electronics Show. And Wall Street analysts have repeatedly predicted Samsung would commercialize the technology in the years since. But this time Samsung means business. Here's what we know so far. Samsung hasn't disclosed the exact name of its new foldable smartphone yet, but various reports indicate it could be aptly dubbed the "Galaxy F." During its presentation, Samsung also masked the exact design elements of the Galaxy F with a boxy case for now -- presumably to build anticipation for its physical appearance ahead of its impending release. We do know, however, that the front face of the folded device will sport a 4.85-inch OLED display with a typical 21:9 aspect ratio, while the foldable interior will showcase a 7.3-inch OLED display with a tablet-esque 4.2:3 aspect ratio. Samsung further revealed the great lengths to which it went to make this new form factor a reality. Those efforts included inventing a new protective polymer layer in place of cover glass, creating a new flexible adhesive that can be folded and unfolded hundreds of thousands of times without degradation, and a close partnership with Google to build a new version of Android with support for the Infinity Flex Display's form factor. In addition, Samsung promised that with the help of simultaneous manufacturing advancements, it will be ready to begin mass-producing the Galaxy F "in the coming months." But that mass production will still be limited. Samsung executives have confirmed a goal of producing around 1 million units next year with a preliminary launch date of March 2019. 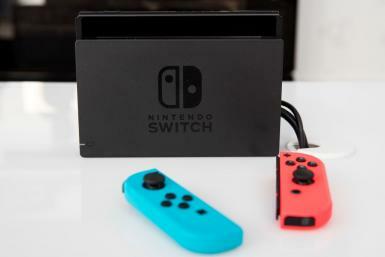 Subsequent reports from South Korea indicate an estimated retail price of over $1,700 to start, so it will surely test the limits of consumers' pocketbooks in the process. Finally, Samsung offered an enticing look at its innovation pipeline, reiterating plans for devices with rollable and even stretchable OLED displays in the coming years. Before we get there, though -- and however promising the Infinity Flex might be -- Samsung will need to prove that demand exists for this high-end device in order to justify moving forward with those future innovations. If all goes as planned, this could mark a watershed moment in changing the future of mobile displays as we know them. Samsung Galaxy S10 Budget Model To Feature Infinity O Display?